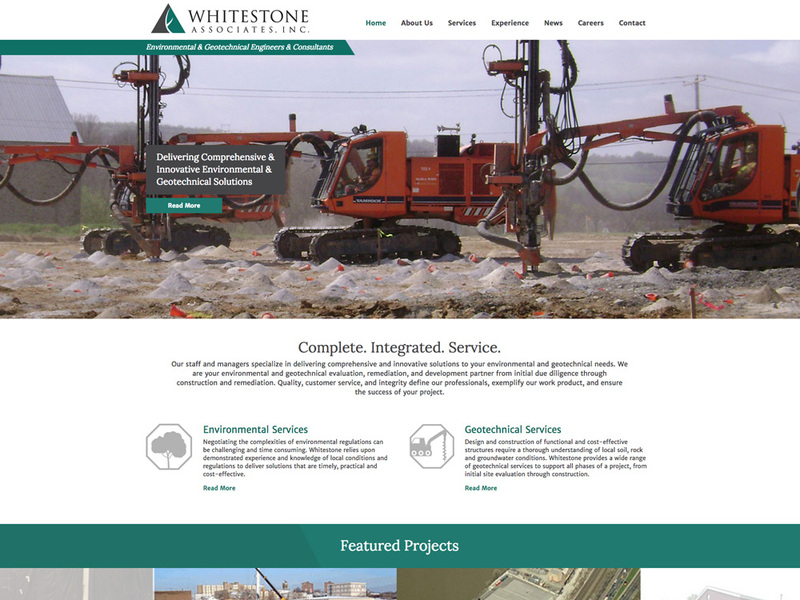 Whitestone Associates, a geotechnical engineering and consulting firm, teamed with Splendor to revive their brand. We updated Whitestone’s logo and created a fully custom, mobile-friendly site. The site is clean, minimal, features large photography and an extensive project section. Whitestone can log in and edit areas of the site through the WordPress backend. To make the project section easy to update, we designed a custom template structure. Whitestone’s staff can log in to upload photographs, and enter fields for client, location, project highlights and description. The template then assembles the information into an elegant page layout. In addition, we integrated a plugin to help manage their email newsletters. Whitestone’s newsletters now match the look and feel of their site, and can be edited and distributed through WordPress.